I specialise in helping Network Marketers, Affiliate Marketers & Small Businesses learn how to take their businesses online and learn how to utilise technology and the internet to attract an endless flow of qualified leads, convert more sales and recruit more team members into their downlines. I found a real love for Digital Marketing, especially Email Marketing so it's one of my specialities. I've loved learning, implementing and teaching as I find out more & what works or doesn't! I'm a very hands on Coach and trainer. I love helping SHOW people how to do things rather than just talk about the theory behind things. People always ask me if I’ve got a video on stuff so if I haven’t got one, I’ll make one! My aim and passion really is about helping people see their true potential and not let circumstances stand in their way to having what they want. There's so much more out there than working 8-5 for someone else! I try to simplify things for you and give you simple and doable things that will get you results in your business. I've been frustrated as you may be, I was a struggling network marketer who hated prospecting so I get it! It’s not easy but the journey you go on as you learn new skills and see results, is one I so love seeing in other people take and if I can help them do that, even better! I was working full time in a job that was so boring and wasn’t really me or what I wanted to do long term. I’d always been working to climb the ladder and progress but this one definitely wasn’t for me. … this wasn’t what I wanted life to be. So after coming across a product on Facebook, I decided to have a go as it seemed pretty risk free (something I definitely wanted after having a failed business a few years previously which totally knocked my confidence). There was nothing to lose so I decided to try it out. I fell in love with the industry and had an amazing launch and start to my new business. I had finally found something to keep my occupied and something that was just for ME. And he was big in his golf and watching footy so I felt a bit left behind and being the little wifey at home all the time so this was perfect for me. After a great start, then came the realisation that to really build a big business I needed a team and that was something I struggled with. But it felt super uncomfortable to me. Bit of an introvert at heart! And I didn’t have all day as I had a full time job to do too so I needed something that could be more efficient and effective. Always learning and searching for something… anything so that I didn’t have to cold message people and have those awkward conversations with old school friends you hadn’t spoken to for 10 years! I finally coming across a solution and started learning about Attraction Marketing. A concept that seemed much more suited to me and took me on a journey of truly learning the marketing skills to take the business online which is what I wanted. To work from my laptop from the comfort of my home. I had the help and mentoring that I needed and craved. A system to follow and learn one thing at a time. I tried to do it all too much too soon and burned out. So this was perfect and I started getting results and learning how to brand ME. How to provide valuable information and teach people what I was learning. THIS became the passion I’d been longing for. Network Marketing was the first door to open but I’m so grateful for that time as it got me to where I am now and opened up the door to now be able to coach others and help them succeed in their business. I’m always learning and growing myself (especially online, there’s always some new tool or method to do things!) but the basics are really what people in network Marketing and Affiliate Marketing need to learn. It feels like a dream come true whilst I now grow my business to where I want it to be, helping others, creating new content and courses to help more home business owners get the help that I had so they don’t struggle anymore. Running a business isn’t easy; I’m by nowhere near the level of income and success I want yet, but it’s always a journey and one that takes time and dedication. I hope you follow along with me and let me help you have your own journey to success. I've shared my business story above but a bit of extra info about me. I'm going to let you into a more vulnerable part of me, something I don't do very often but I think it's important to share why I do what I do and what this business has done for me in all honesty, baring all! My husband and I ran a pub for just under a year in our late twenties which didn't end well. After getting out before we got into too much more financial trouble, my confidence was shot. I was on the verge of depression and had such low self-esteem after that. I barely left the house and vowed never to take any risks again and certinaly didn't want to be my own boss again! We started trying for a family and came up against a lot of heart ache and struggle. For 7 years we'd tried, failed, 3 rounds of IVF and drugs being pumped into my body and still haven't have our fairytale ending. Feeling like a failure as a woman as well was tough to deal with. But I carried on. Luckily a few years into the journey was when I found Network Marketing and it really did save me from spiralling into a self-pitying hole. ...that's when my business really started to take shape. I got even more serious and it's funny how making those decisions results in some pretty cool opportunities and results started to show up even more. I felt so much happier and more content with life. Finding something that could be for me and a passion has been a life saver for me. It's given me the distraction and focus to enjoy life when my heart was breaking. I've travelled to America alone which was super scary, but I did it! Going for events, workshops with some of the best in the business which has been amazing. I know there'll be others who may feel inspired by this or if I can help one person not give up and find something to help their journey, I'll be happy. And 2) My main goal is to be in a place that when the time is right, I can be the Mum I want to be and be there for my babies whilst having my business to allow me to be ME and be a role model for my family. I've seen too many friends in tears sending their kids to nursery and go back to work more than they wanted but had no choice. I didn't want that for me & my husband. Which is why I never gave up. And will continue to do all I can to help as many people see that there are other options to working 8-5 and with the right help, passion and dedication, you can have it all! I look forward to being able to share tips and trainings with you and provide you with value to get you results and help your business get to where you want it to be. 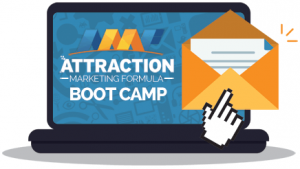 If you want to get started with your business online and find out how you can get results like I started doing 3 years ago, click here to go through my Attraction Marketing mini-course which will show you how you can build your business part-time around your job or your family and never have to waste your time & energy on uninterested people again and chase your friends and family.